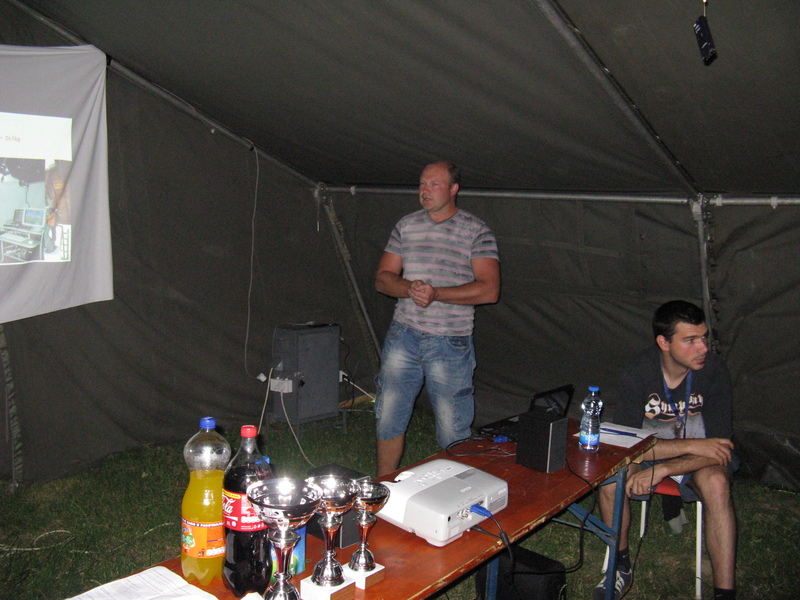 From 27th to 31st of July, 2011, the Hungarian Astronomical Association organized traditional annual meeting at Tarján, Hungary, which gathers both amateur and professional astronomers, the members of the association, and everyone interested in astronomy. Many of the participants brought their own telescopes in hope that they will have clear skies for observation on a site where the light pollution is low. Approximately 300 people participated in the meeting. The organizers of the meeting scheduled for each day of the meeting an interesting set of lectures. Two particapants of the BELISSIMA project, Dr. Oliver Vince and Ms. Monika Jurković, were invited to present the Belgrade Astronomical Observatory's past, present and future, and to talk about the BELISSIMA project. 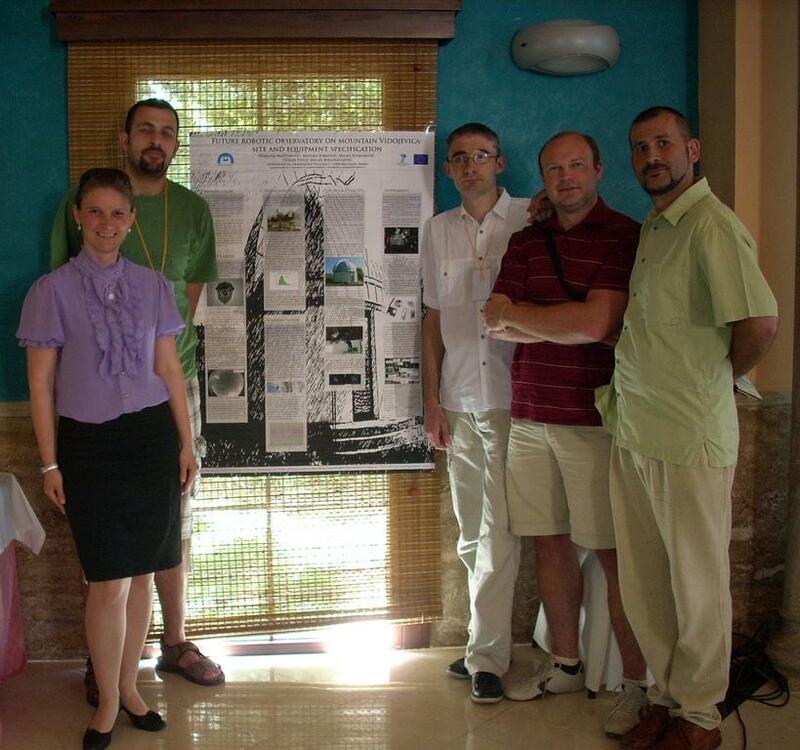 The lecture was presented on 29th of July with the title “65L: Astronomy in Belgrade, the BELISSIMA Project, and the Astronomical Station Vidojevica”. After the lectures the participants of the BELISSIMA project had the opportunity to talk to people present at the meeting. They talked with Tibor Horváth, from the Hegyháti Observatory Foundation, in Hegyhátsál, Hungary. He described his experience on the construction of the observatory in Hegyhátsál, for which they have received money from an EU project to build a 50 cm Ritchey-Chrétien telescope, and after a longer struggle of few years they have managed to collect enough money to build a suitable building where they can put their telescope. Dr. Vince and Ms. Jurković have talked to András Dán, from the company GEMINI Bt., whose main activity is building mechanics and software for guiding telescopes. His very successful projects are, for example, the above mentioned telescope in Hegyhátsál, the automatic 40 cm telescope at Astronomical Station Piszkéstető, or the 40 cm telescope in the Observatory in Szeged, Hungary. They also had the chance to talk to the leader of the HAT (Hungarian Automated Telescope) project, Dr. Gáspar Bakos, and one his close associates, Pál Sári, who constructed the whole mechanics of the telescopes used in the HAT project. The telescopes in the HAT project are much smaller dimensions than the ”Milankovic” telescope, but their instruments work almost completely autonomously on 4 continents. The collaborators of the HAT project have written a software for precise determination of the weather conditions, without any human interaction, taking into account all available data from the local meteorological station . Dr. László L. Kiss, deputy director of the Konkoly Thege Miklós Astronomical Research Institute, expressed his will to Dr. Vince and Ms. Jurković to come to visit the Astronomical Observatory of Belgrade, and give a lecture about the KEPLER space telescope and the possible collaboration. Dr. Tibor Hegedűs, from the observatory in Baja brought an inflatable planetarium. With him his experiences, and difficulties in the automatization of their instruments were discussed. Ms. Monica Jurković presents her talk at the Tarján meeting. One of the participants of the BELISSIMA project, from the Astronomical Observatory of Belgrade (AOB), Mr. Nemanja Martinović, took part in the work of the 2011 NEON (Network of European Observatories in the North) summer school held at Molėtai Astronomical Observatory, Lithuania from 14th to 27th of July, 2011. The School was organized to provide the opportunity for young researchers to gain practical experience in observational techniques, data reduction and analysis. 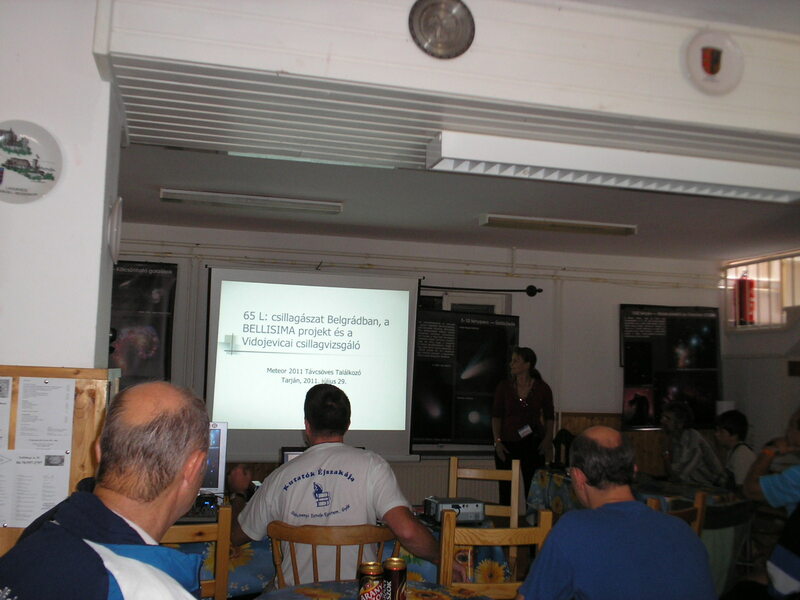 During the whole time of the school a series of lectures was organized on various topics of general interest (observational and data reduction techniques, instrumentation and presentation of some of the European observing facilities, etc). At the beginning of the School the participants were split into 5 groups which worked on various projects. Mr. Martinović participated in the work of the group led by Dr. Lorenzo Morelli. The goal of the group's project was to determine the stellar kinematics and age, metallicity, and alpha/Fe of stellar populations in the central region and along the radial profile of a galaxy selected by the group from given constraints (location of the observing facilities available, brightness, etc). The group selected the galaxy NGC 5866. 1) CCD photometric observations executed using the local 35/51cm Maksutov telescope ACT-452 using Vilnius photometric filter system with P, V, Y, X and S filters used were successfully executed. 2) The long-slit spectroscopic observations in remote control at the Nordic Optical Telescope (2.5m ) were successfully executed. 3) The CCD photometric observations with the Moletai 1.65m telescope using the BVRI filters, due to the inadequate weather conditions, unfortunately, could not be performed. The subsequent data reduction was performed using IRAF and IDL packages, with analysis performed using the locally written code and IDL's GANDALF code (Gas AND Absorption Line Fitting). Upon completion of the project, the group presented results in a 30 minute talk where each of the group members presented his/her contribution to the project. At the end of the School successful participants were presented with diplomas (acknowledging minimum of 125 hours of work load during the school) and general discussion was held addressing topics of interest for young researchers in various field of astrophysics. 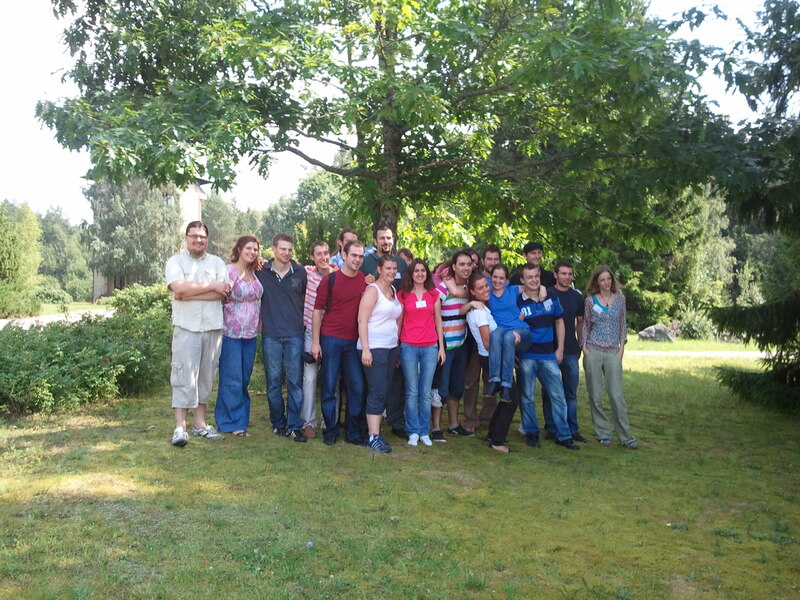 Participants of the NEON summer school: Nemanja Martinović is in front of the tree. 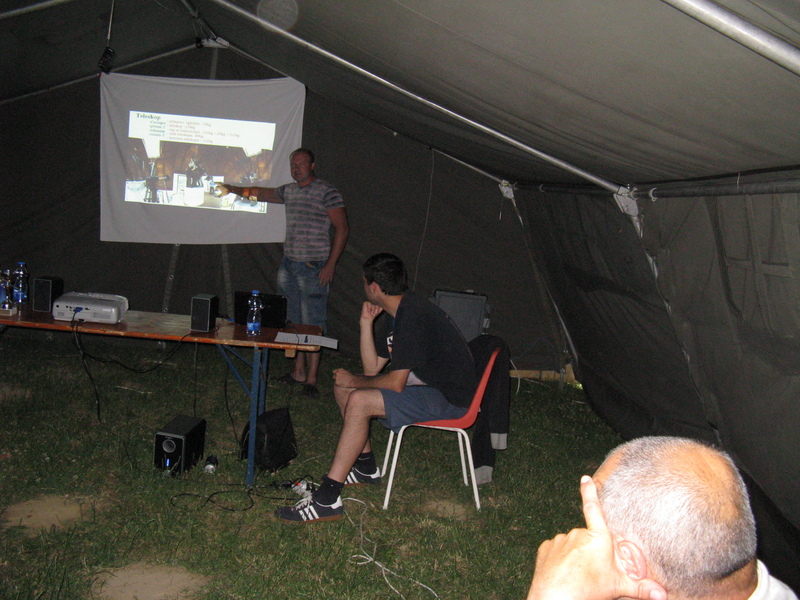 From 21 to 24 July 2011 the international Astronomical Camp (AC) was organized on Letenka which is located in the National Park Fruška Gora, Serbia. The camp was organized by "Astronomski magazin" ("Astronomical magazine") and was sponsored by the Secretariat for Science and Technological Development of Vojvodina and the Department of Physics from Novi Sad. The camp is attended by people interested in astronomy. The camp is organized every year on different locations where the observations by amateur telescopes are feasible. The participants came from Serbia, Macedonia, Czech Republic, Croatia, Slovenia and Bosnia and Herzegovina. During the day various lectures were organized whereas during the night several observational activities were performed. Dr. Oliver Vince from Astronomical Observatory was invited to give a lecture about the Astronomical Station Vidojevica and project BELISSIMA. The lecture was given on July 23rd, 2011 and is available here. 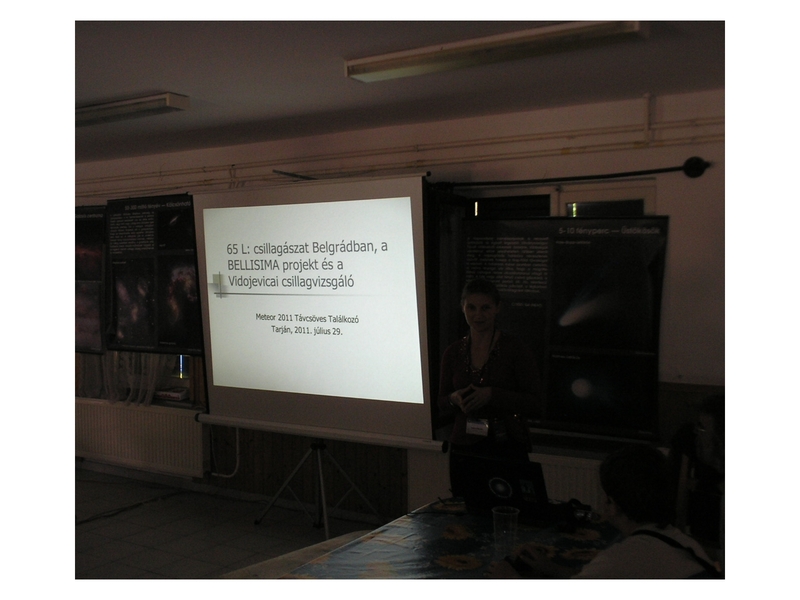 This presentation was the first official presentation of the BELISSIMA project to amateur astronomers of Serbia. The questions posed after the presentation show that participants were very interested in details of the Work Package 4 related to the popularization of astronomy and about the possibility of usage of the 60cm which is in function and the future 1.5-class telescope in educational/scientific purposes. 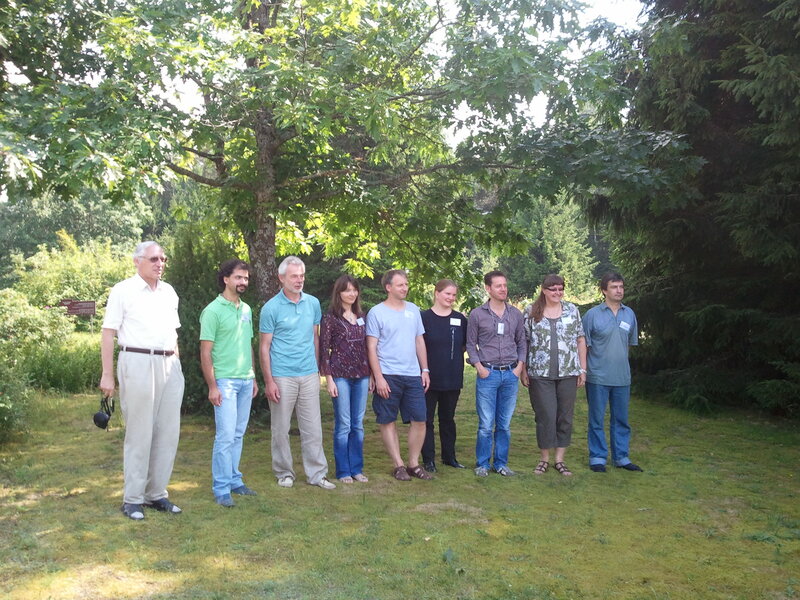 A participant of the BELISSIMA project, Mr. Marko Stalevski, participated in a 4-day practical training at ``Hands-on Strong Gravitational Lensing School'' held at Excellence Cluster Universe, Garching, Germany from 14th to 17th June 2011, for PhD and younger prospective graduate students in Astronomy and Physics. to encourage new scientific projects among the students and the invited/local speakers. The following topics were discussed: strong lensing theory, lenses as cosmological telescopes, strong lensing and stellar population models, cosmological applications of strong lensing, substructure studies with strong lensing and strong lensing and stellar dynamics. In the afternoons, students attended practical tutorials. A number of interesting phenomena and ongoing investigations were discussed, among which some are within a reach of 1.50m-class telescopes such as the "Milanković" telescope: measuring time delays for lensed quasars from optical light curves (e.g. the COSMOGRAIL project), which can be used to constrain Hubble constant and other cosmological parameters. Mr. Stalevski presented his work in a short talk (12 min), including his work on 3D radiative transfer modelling of AGN dusty tori, influence of microlensing on infrared radiation of dusty tori, and future plans for investigating influence of strong lensing on dusty tori. The observations needed are planned to be performed using the "Milanković" telescope which the BELISSIMA project plans to mount at the top of the Vidojevica mountain. (Japan), CHASE-500 telescope (Chile), STELLA telescope (Spain) etc. enable faster observations and data reduction (automatization). this session. Virtual Observatories (VO) tools, which are extremely helpful were also discussed. using this kind of telescopes are Gamma Ray Burst follow-ups, exoplanets, variable stars etc. various ages was discussed in this session. IX. Future strategies; projects of new planned robotic telescopes were presented in this session. BELISSIMA project as well as many details regarding the future 1.5-class telescope. mounted at the Astronomical Station Vidojevica (ASV). presented the poster in a 2 minute talk. From left to right: Monika Jurković, Nemanja Martinović, Milan Stojanović, Dr. Oliver Vince and Dr. Milan Bogosavljević. 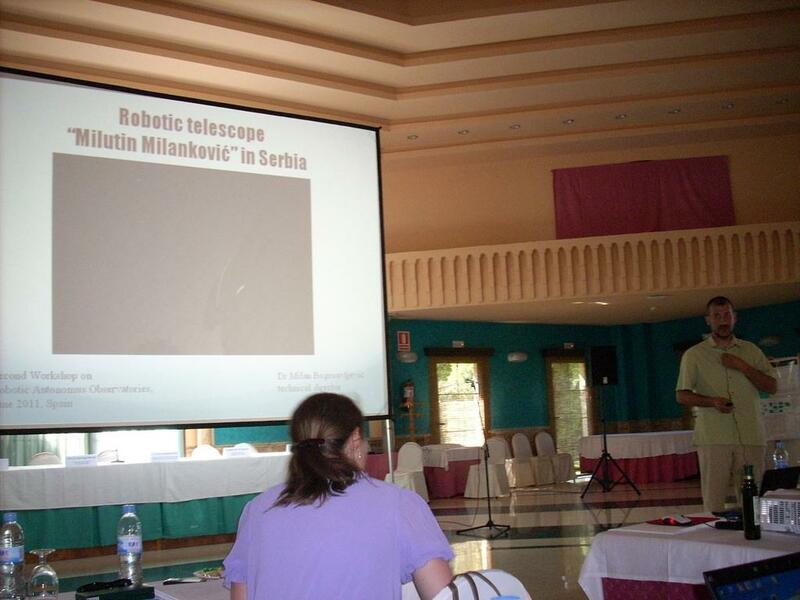 Dr. Milan Bogosavljević is presenting the project of the "Milanković" telescope.